Hello, lovelies! It’s been a while. Life has been crazy lately! I have been trying to balance my Photography and Coaching businesses on top of being a mother and a wife. I plan on revamping my entire website soon and will be posting much more often, so keep an eye out for what’s to come! I find that I’m usually running late (yes, I’m that mom!) and always having difficulty keeping track of the time now that Charlie is all over the place. I also tend to misplace my phone, so wearing a watch is really the only thing I can rely on when I have somewhere to be or need to keep track of time. I have partnered with my friends at Jord (maker of handcrafted wooden watches) for a giveaway for my followers! Jord sent me the Frankie 35 Series in Dark Sandalwood and Slate and I am absolutely in love with it! I am a neutral color girl, so I love when I can wear an accessory with multiple outfits. The rose gold details pop beautifully against this slate gray color. I am definitely a watch person and this is a great quality timepiece. It is so versatile and can easily be worn casually or dressed up. The wood is so lightweight on my wrist and doesn’t make me sweat in the hot Florida sun like my leather watches tend to do. Jord makes men’s, women’s, and unisex watches. They are great for gift giving, and if he doesn’t wear it- you can! For the giveaway: enter your name and email address. You can also follow Jord on Instagram for an additional entry. The lucky winner will receive a gift code for $100 towards a purchase from the Jord website. What’s makes this giveaway even better is that everyone else will receive a code for $25 off of a purchase just for entering! This contest ends on August 20th 2017 at 11:59pm. Good luck! On Friday, my daughter turned a year old. I still can’t wrap my mind around the fact that it has been an entire year since she has entered this world. One year that our lives have been completely turned upside down. One year of tears, one year of laughter. One year of nursing, and one year of the least amount of sleep I have ever gotten. One year of teaching, one year of watching you grow and learn. One year full of amazing memories. Part of me is sad and wants you to stay little forever. Although I wish I could keep you a baby, I am truly excited to continue to watch you grow. You are the most amazing little person I have ever known and you have taught me so much over this last year. You have taught me to be patient, understanding and shown me that I could love to a capacity I had never known possible. I always wanted children, but you have shown me motherhood in a whole new light. Ever since you have been in my life, I have felt a new purpose. A new calling. I feel like being a mother is my thing. I used to be afraid that I was unprepared. That I wouldn’t be a good enough mom for you. Sometimes I still have these thoughts and worries, but not often. I love being a mother. I think I can do this. I know I can. I am ready for whatever lies ahead because you make being your mother so easy. Some days are hard, don’t get me wrong, but you are so worth it. You are the best friend I have spent my life praying for. I love you and your father more than anything and you two fill a space in my heart that I never knew existed. Thank you for giving me the best year of my life. I love you, my sweet Charlie girl. Happy February! To kick off the month, I teamed up with my friend Alexa of thealexanicole.com to put together a fun Galentine’s Day post to give you some inspiration if you’re looking to host a party this year. Galentine’s Parties have been a cute trend for the last few years now- and it’s a great excuse to throw a party with your girlfriends and indulge in some delicious treats! We had a great time playing around with pinks, reds, glitter, and all things girly. Strawberry frosted donuts make the perfect Galentine’s dessert! Who doesn’t love donuts? Include some fresh strawberries to add a splash of red! This tablecloth was a DIY. We wanted something more monochromatic that would still pop and look girly enough for our party. We picked up a plain white plastic tablecloth, some black washable paint, and simply added ‘X’s and ‘O’s. It was so simple and turned out really cute! Candy hearts and rose petals spread across the table runner added a sweet and festive detail. Adding pink cotton candy to our glasses tied things together. Pour your drink of choice for a sweet and girly treat! Are you planning on hosting a Galentine’s Day party? Share some of your favorite decor ideas with me! My girl scratches and grabs at everything while nursing, and that may or may not have resulted in scratch marks on my face and chest and hair ripped from my head a few times. She also loves to put absolutely everything in her mouth. This necklace from The Vintage Honey Shop is perfect for us! There are many teething necklaces on the market, but I love the design of these. All of their necklaces are made of organic cotton and organic wood beads and rings. They have so many beautiful fabrics to choose from! I love the convenience of having something to keep her entertained always right around my neck and Charlie appreciates it too! The packaging it comes in is so beautiful and makes them perfect to give as a gift. Use the code alyssapetersonn(make sure you have two n’s like my Instagram handle) for 15% off of your order. I have always dealt with self esteem issues, but growing up, I also had a problem with body image. In middle school, there were a few girls that loved to bully me and spread rumors that I was anorexic. I don’t understand why they said those things, as I wasn’t underweight and I loved to eat. However, it was hurtful and left me feeling very confused about how others perceived me. If only I could tell my 13-year-old self not to listen to those mean girls, I certainly would! Before I got pregnant, I had a bit of an obsession with fitness. I would spend many hours every day at the gym working out and pushing myself to my fullest capacity every time. I was in the best shape of my life and was proud of the results that had come from all of my hard work; but as my baby and my belly grew, it was a little strange for me to watch my body transform so drastically in such a short period of time. I told myself repeatedly that once she was born, I would be right back at the gym again. Everyone was always so quick to tell me that the weight would melt right off and that I would be back to myself in no time. Let me just tell you that that is not the case. It didn’t help that I ended up needing to have a cesarean, either. That delayed my ability to start working out shortly after and also makes it more difficult to ‘bounce back’. I felt that this needed to be shared because it’s not discussed enough. It’s upsetting when others are constantly telling you how you’ll fit back into your size 0 jeans just a couple of months after you give birth. In rare occasions, yes, that can happen. Just know that if it doesn’t, you’re not alone. There is nothing wrong with you. I understand that people have good intentions when telling you how good you look after just having a baby. Who doesn’t love a compliment, right? However, hearing people mention it many times or every time they see you can be a bit excessive. Perhaps it’s just me, but I almost feel more self conscious when someone keeps asking me if I’m down to my pre pregnancy weight yet or even just telling me I look good ‘for just having a baby’. 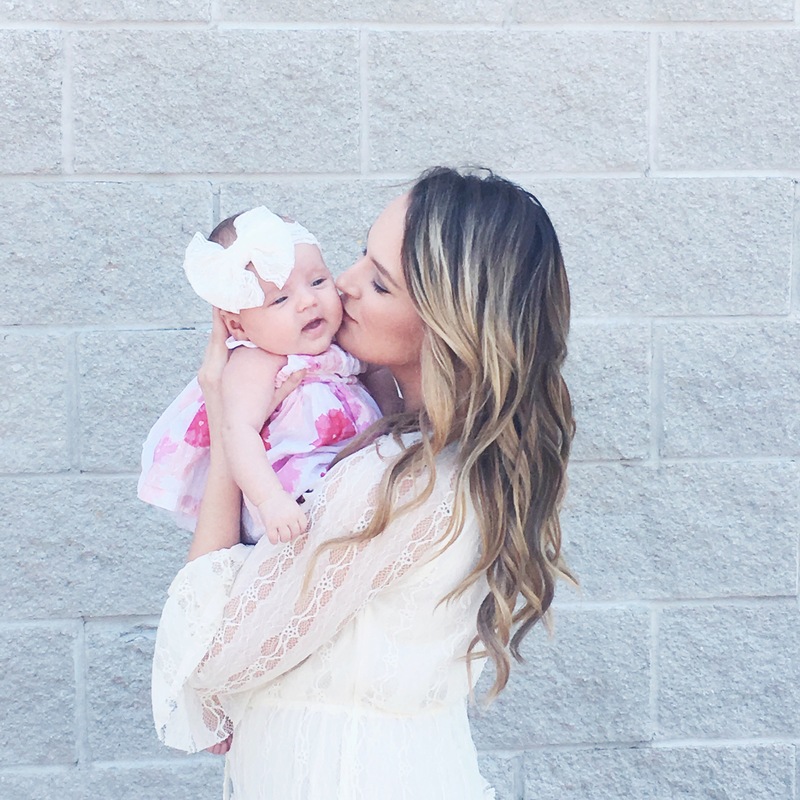 Most women don’t feel amazing about themselves after giving birth and to continuously put emphasis on their physical appearance can be hurtful. Is it possible to have a flat stomach and six pack again after giving birth? Absolutely! Does it happen as quickly and easily as some make it seem? Definitely not. It requires a lot of work and dedication. Honestly, the comments people would make while I was pregnant still puts so much pressure on me. It’s easy to be too hard on ourselves sometimes and all too easy to forget what amazing miracle our bodies just produced. I am still having a hard time adjusting, but each day it becomes a little bit easier. I may not ever have the same body that I did before my daughter was born and that’s okay. My new body has created life, grown and birthed another human being. My new body has fed and sustained this being for 5 months of her life so far. It is truly amazing what our bodies are capable of and I would never take it back for anything. I am beyond thankful that I was physically able to experience these things. I am back to working out again and it’s not as easy as it used to be. Not only am I dealing with having no core strength and an incision that is still tender, but I have a shoulder and neck injury from a car accident years ago that has also flared up. I’m trying to find balance between getting back into shape without comparing my pre baby body to my post baby body. I am not only working out and trying to eat better for myself, but also for my daughter. I don’t want her to grow up obsessing over her figure or feeling like she needs to look a certain way, but I want to inspire her to live an altogether healthy lifestyle. It goes beyond fitness and the number on the scale. The things that we put into our bodies internally as well as externally have a huge impact on our health. We only get one body and it deserves to be treated well and with respect. This body has given me a beautiful gift and I want to thank it in return. After everything it has gone through between pregnancy and a traumatic delivery, my body deserved to rest and recuperate. There is no shame in taking time to care for that sweet baby of yours and allow yourself to get back into the swing of things before starting a crazy diet or work out routine (and there is no shame in starting right away either- if you’re physically able). But don’t allow others’ words or opinions to consume you and put pressure on you. Mothers already have enough of that to put up with. Apparently the ‘Dad Bod’ is a thing, so let’s proudly and unashamedly rock our ‘Mom Bods’, mamas! After all, they deserve to be celebrated. Becoming a parent changes you and inevitably, it changes your relationships. As a stay at home mom, I can honestly say that it gets difficult and lonely at times. I love my daughter, but there are times that I long for conversation with another adult and though I am not alone, it feels as though I am. I still keep in touch with my single and childless friends, but things are different now. I can’t take spontaneous trips or hang out with a friend all day at the mall because I have nowhere else to be. Leaving the house takes a lot longer than it did before and requires more planning. My schedule now revolves around my baby’s schedule. And that’s okay, but not everyone understands. I am learning the importance of finding my ‘mom tribe’ if you will. I think a lot of mothers are in the same boat and have experienced similar feelings. Being a mom isn’t the easiest thing in the world and I think we underestimate ourselves sometimes. We need to surround ourselves with other moms and be there to support one another. Finding these friends isn’t as simple as going to a Mommy and Me class, either. As if we aren’t already under enough pressure, mothers seem to be quick to pass judgement on one another. Mom shaming is real, y’all, and it drives me absolutely insane. Breastfeeding, formula feeding, working moms, stay at home moms, vaccinating, anti-vaccination, co-sleeping, anti co-sleeping, natural birth, medicated birth; if people can compare one another and argue about it, they will. Someone I hardly even know said something that really hurt me a few weeks back. She asked how my delivery was and I briefly told her that it ended in an emergency C section. She decided an appropriate response was, “well maybe if you were at a birthing center instead of a hospital, that wouldn’t have happened.” Now if you know my story or have read my previous blog post, I’m sure you can imagine how hurtful that was to me. Thank God we were at a hospital or things could’ve ended horribly. Every child and every family is different so we don’t all parent the same way and there’s nothing wrong with that. As long as you aren’t abusing or endangering your child, I’m not going to judge you or make you feel like you’re doing everything wrong. Being a parent is something that you just learn to roll with. You can read all of the books and do all of the research, but when it comes down to it, making religion of parenthood is useless. I’ve been fortunate to have my aunt who has a one year old and a three year old to hang out with. She has been my rescue a few times when Charlie would start getting fussy in public and my anxiety would spike. She has helped me realize that it’s normal and okay when she cries in public when she’s hungry, despite the dirty looks other people may pass me. It’s okay to not have it all together all the time. It’s okay to look like a hot mess when your kid has been spitting up or drooling all over you and you haven’t showered in days. It’s healthy for us to understand these things are absolutely normal despite what we see on social media, and having our mom tribe there to walk through it with us is what will help us remember that. I’m still searching for my tribe. But before we can come together and support one another, we must stop the comparison and the judgment and learn to accept that none of us really know what we are doing and we are just taking each day as it comes. Don’t be so hard on yourself, mama. You’re doing a great job.